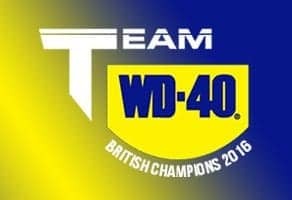 Team WD-40’s GR Motosport Ltd was formed in 1995 through the sponsor/rider partnership of Tony Robinson and Brent Gladwin. Brent formerly suffered an injury which ended his riding career, bringing the Championship winning formula to a premature end. However, from this hardship the team was born, along with the determination that Brent’s expertise and equipment should not go to waste. It was decided that his ability and resources should be used to promote young riders through to Title glory. 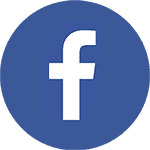 In GR Motosport’s short history, one European and 12 British titles have gone to GR riders, the latest being British Champions in 2016. 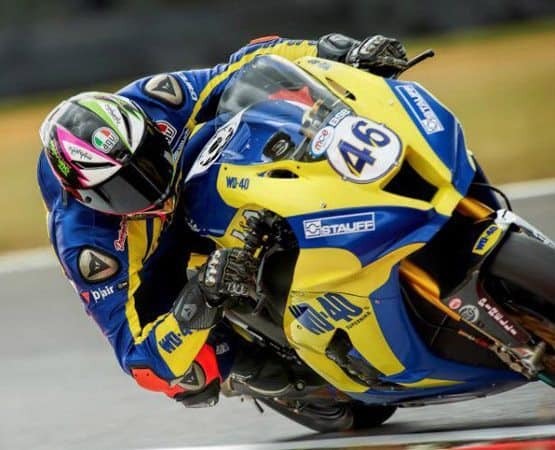 We are incredibly proud of the fact that many of our Team WD-40 Superbike riders have developed into superstars of the sport. 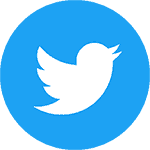 And look to continue the strategy of developing young talent, with riders in the British Superbike Championship series. 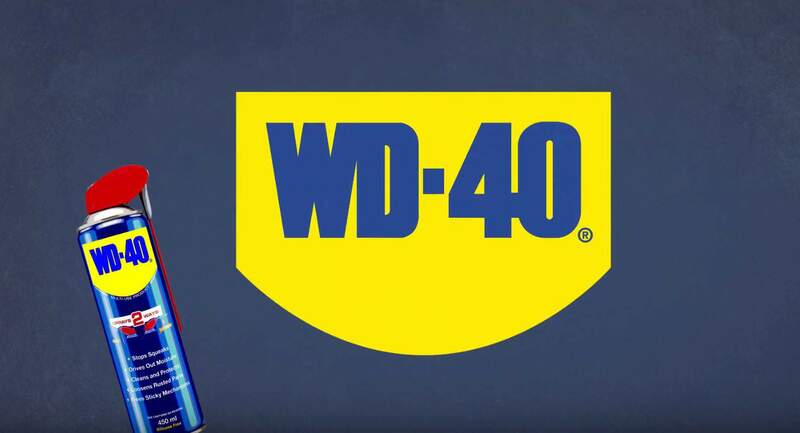 Claudio joins Team WD-40 Superbike for the 2019 season and is looking forward to sharing the hunger for victory shown by Team WD-40. He grew up around motorbikes with his father being a trial rider and started racing in 1994 in MiniBike regional races. Off-track, Claudio enjoys cycling, ice hockey and shooting. 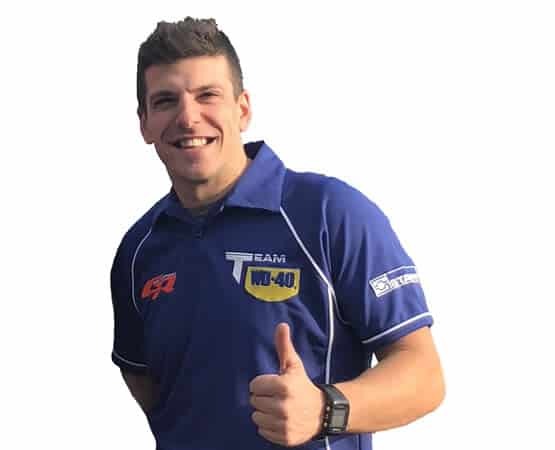 Joining the team for the 2019 season, Eemeli started racing Motorcross in 2000 and made the switch to Road Racing in 2007. After a BSB Supersport win in Aasen in 2017 and a European Supersport Championship silver medal in 2018, he is ready to fight for the top spot this season. 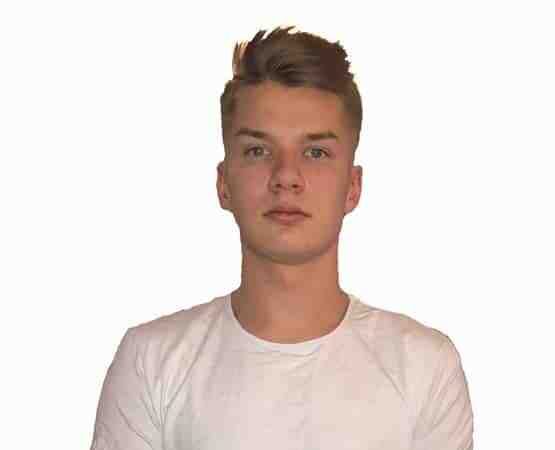 When he’s not on the track, Eemeli enjoys XC-Skiing and bouldering. 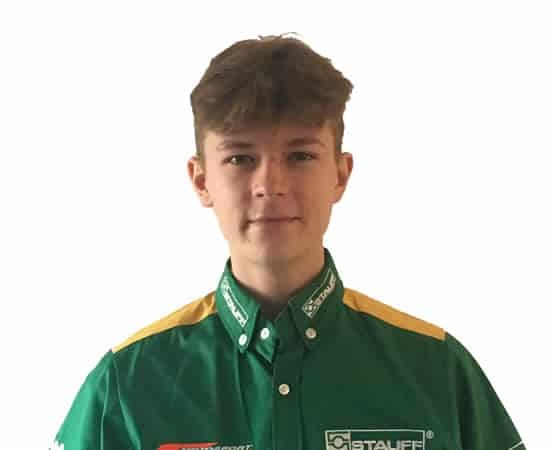 New to the team for 2019, Storm will be racing for the Stauff Quick Connect Academy in the Superstock 600. He has grown up surrounded by bikes and started racing on dirt bikes in 2009, before moving to circuits in 2010. Away from the track, Storm enjoys skiing, shooting and mountain biking.